Description: A 3-set Venn diagram in navy background with numbered labels on the left. The three circles are in the shape of balloons. 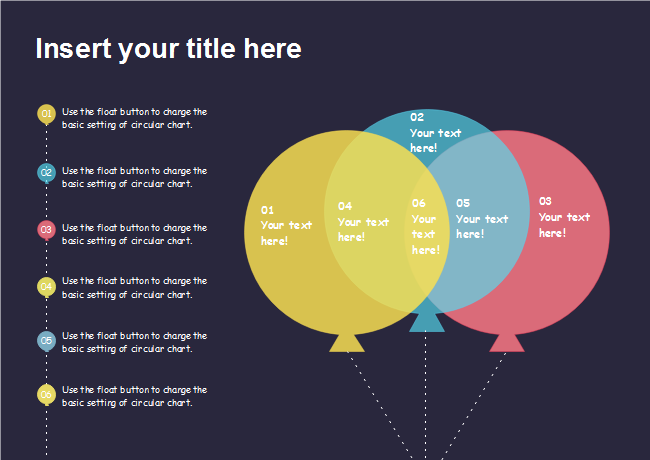 With Edraw's handy design tools, drag-and-drop feature, and user-friendly interface, you can personalize this Venn diagram any way you wish.